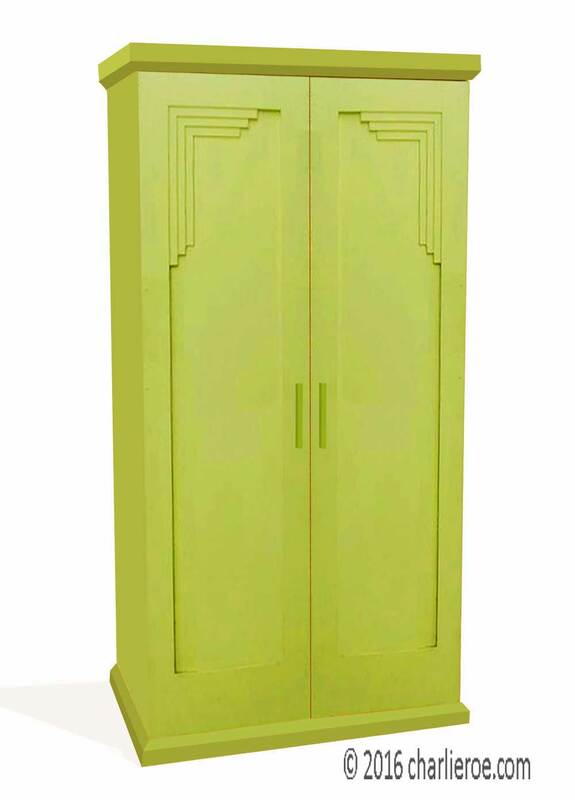 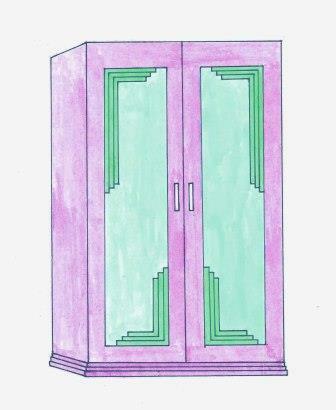 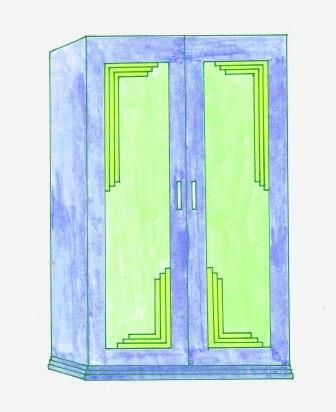 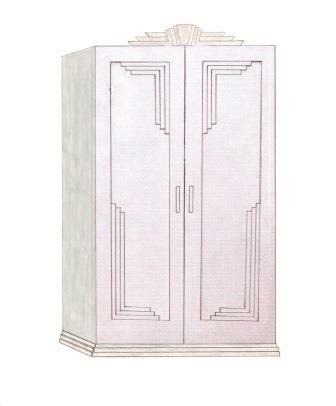 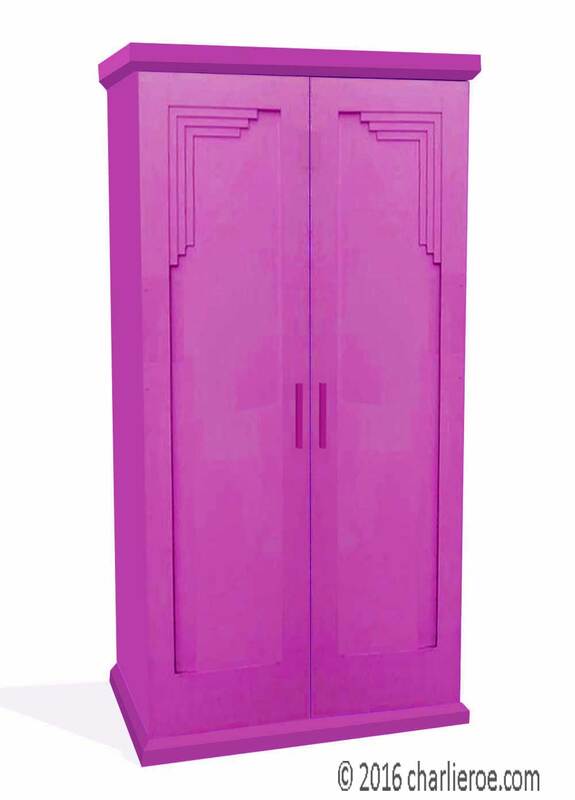 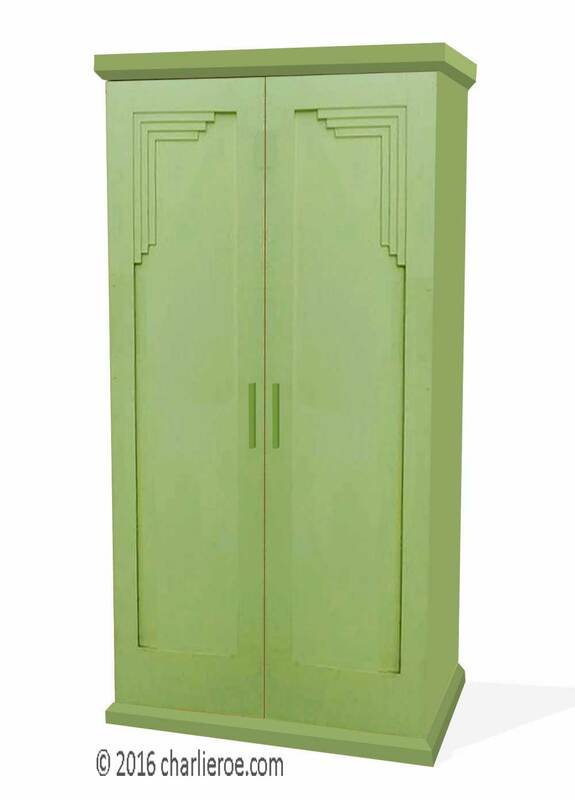 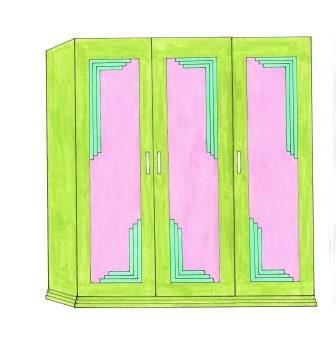 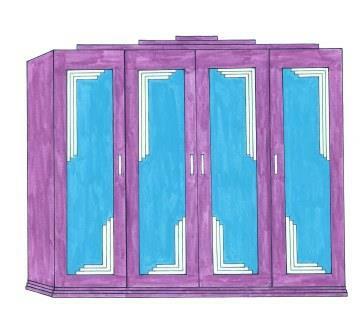 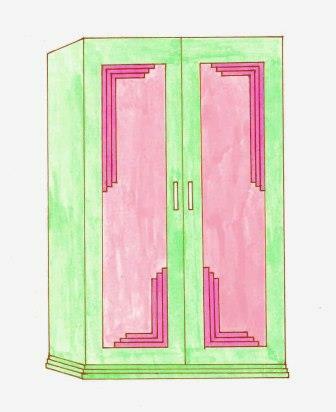 This is another new Deco wardrobe design we've added. Although shown as a 2 door freestanding robe many more options are available; you can have any number of doors, freestanding, built-in, colour / wood finish, etc.. Althought this is a quite straight forward wardrobe, with Shaker panel doors, it is the striking coner mouldings that really define it as Deco style. 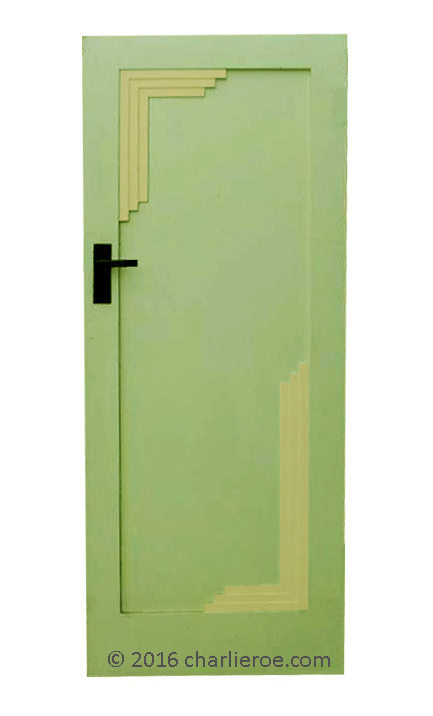 Add some striking offset handles to really make the piece. 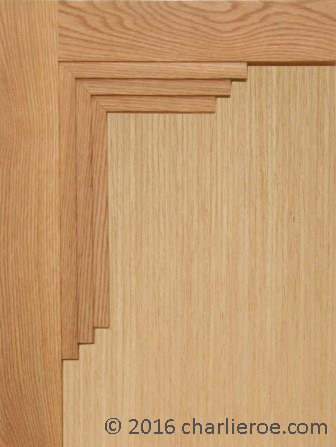 Above right is shown part of a new door we produced, in Oak, which gives it a very different look. 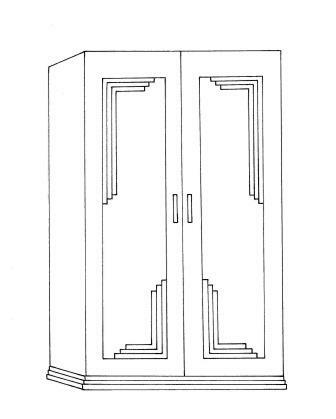 But this shows the stepped moulding detail very clearly. 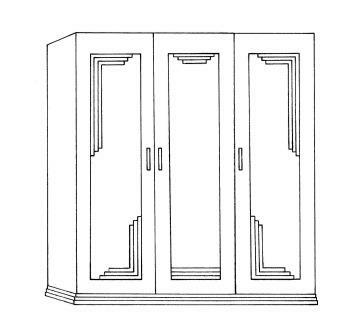 The mouldings sizes can also be varied, especially if more doors are being used. 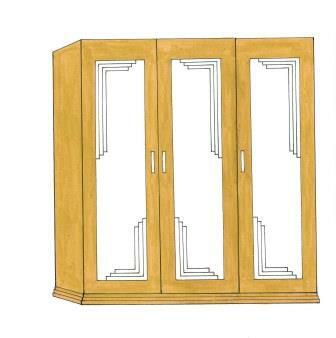 These robes look classy in oak, or a painted finish. 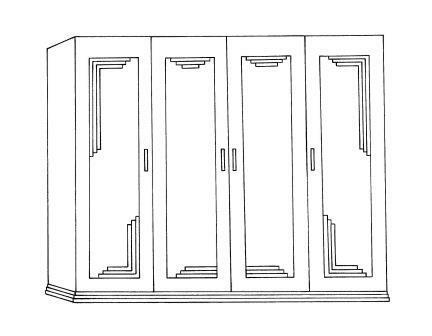 These can look even more interesting when the mouldings are picked out in another colour, or for the brave when the panels are picked out in a 3rd colour, as some design examples below. 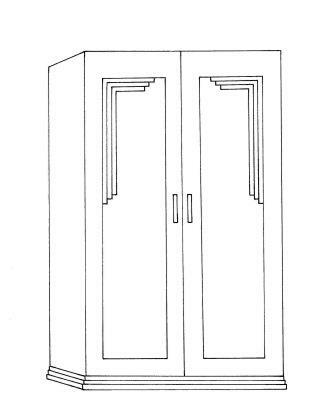 We could also add a cornice moulding for further elaboration. 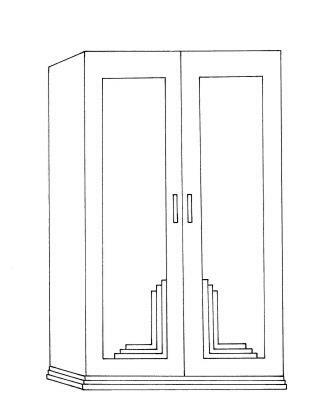 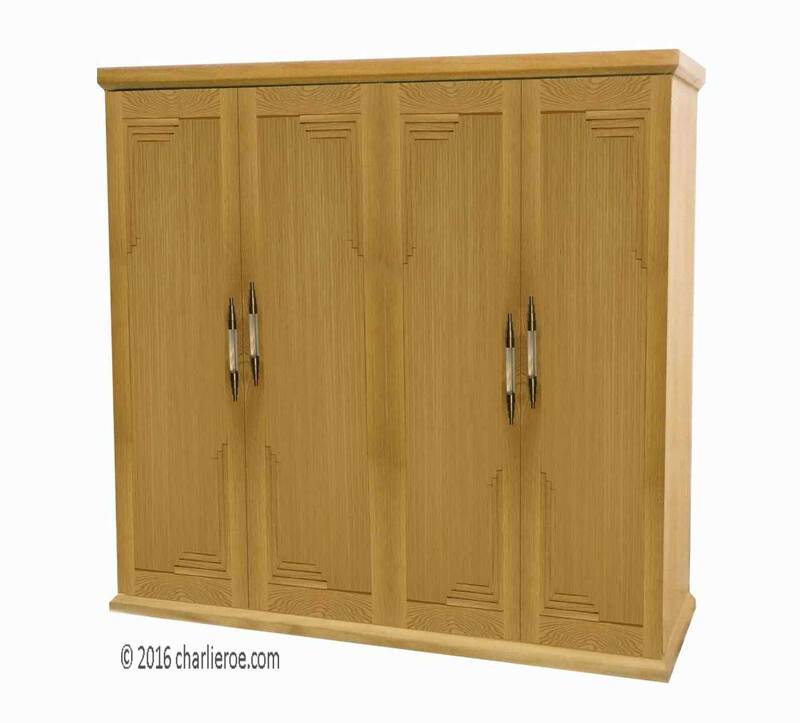 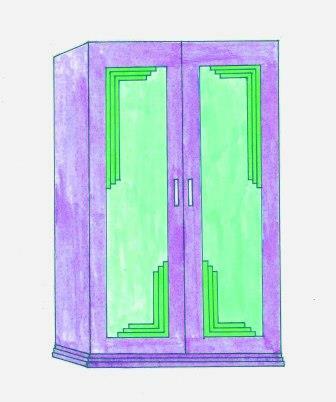 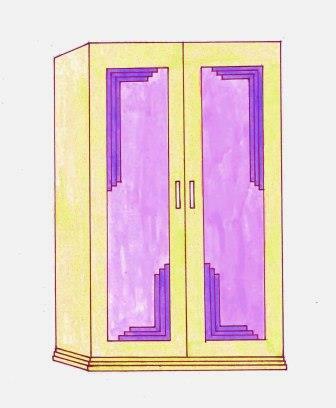 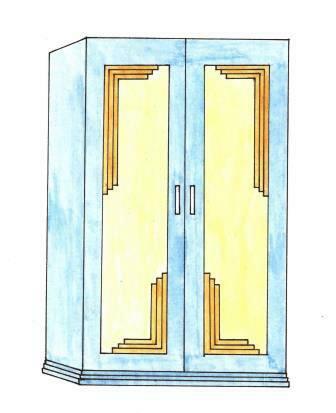 These wardrobes can be made as 3, 4, 5 or more door versions, as shown above. 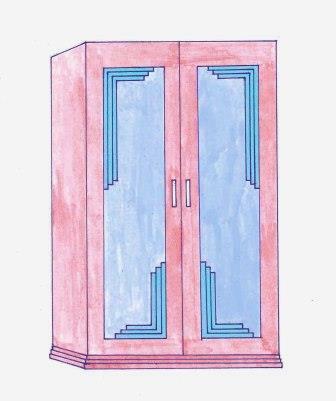 Or built-in robes. 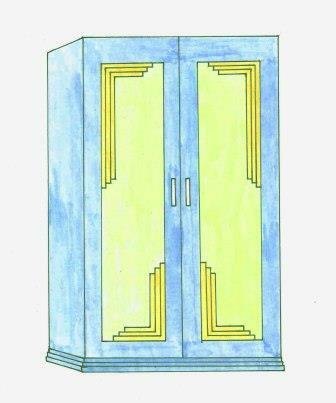 These designs also show some different patterns you can have for the stepped panel mouldings. 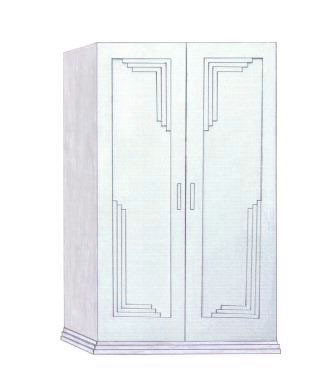 As designer makers we can produce any style of Deco robes you want, in any size, any material / finish, any internal fit-out, etc.. We can do individual freestanding robes, as shown above to runs, L shapes, walk-in closets, built-in robes; just ask. 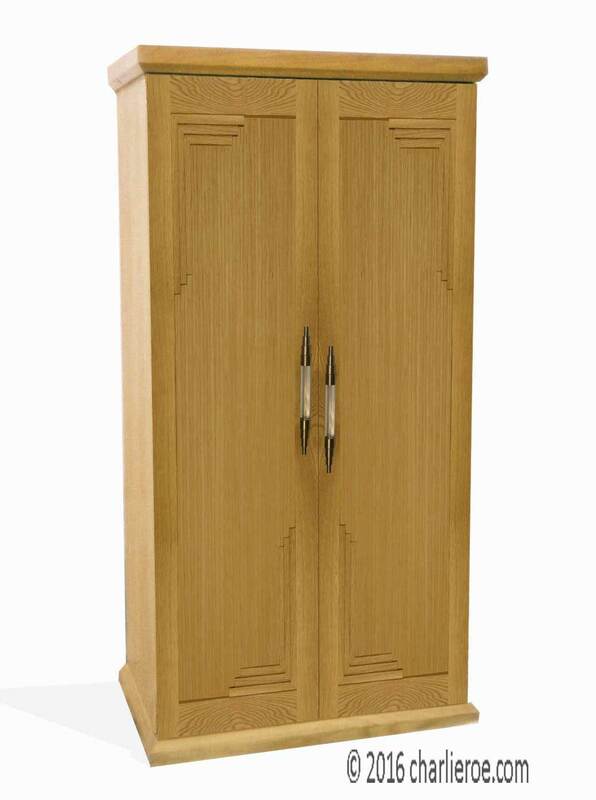 Every one is bespoke made to order, so you can tailor to your exact needs. 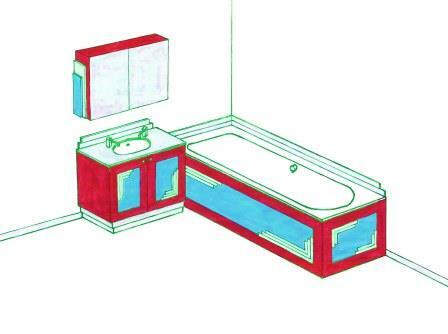 We can work with clients anywhere in the world no problem. 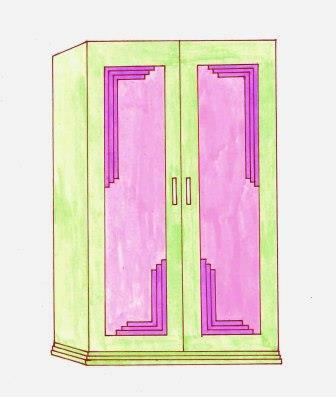 We are adding new designs to this section regularly, so keep checking in. 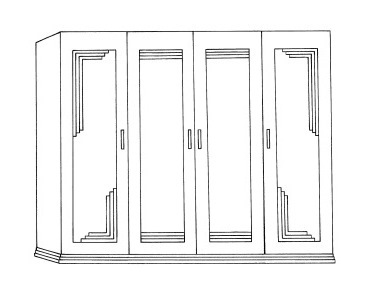 You can also see a matching bathroom suite in this style (shown below), which shows so many different colour variations (which could be used for these robes). 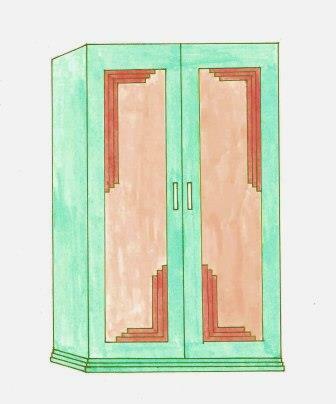 We also used this design for some bed headboards, see bed pages. These robes designs have been registered now, & may not be reproduced without our written consent.